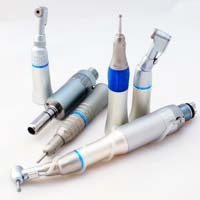 Low-speed dental handpieces can range in rpms from 100 to 140,000. Features vary between manufactures such as burr attachment, air/water nozzles, construction material, angle design and handpiece weight. It is important to choose a vendor that employs high quality construction materials for their low-speed dental handpieces. 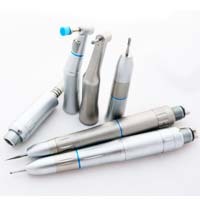 This will ensure that the handpieces hold up during autoclaving and sterilization. There are also lube-free low-speed dental handpieces available. Some low-speed dental handpieces also provide a lighting option; this can allow greater clarity and vision inside the mouth. 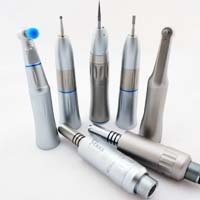 Many dental low-speed handpieces employ high torque to give the necessary power at a lower speed. Whichever vendor and product chosen, be sure they are reputable.